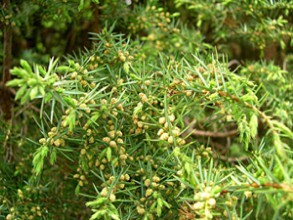 Essential Oil of Juniper is used in Natural Skin Care Products for its Tonic and Cleansing effects on Oily Skin. Juniper berry is another culinary herb often found in sauerkraut, goulash and as a major component of Gin, as well as being used in natural skin care and traditional medicine. Juniper is another member of the conifer Family (Coniferae) and the clear, liquid essential oil is extracted from the berries by steam distillation. It grows as a small hardwood bush found in Central and Southern Europe, Sweden and Canada. Juniper was used to burn as incense by earlier civilisations. 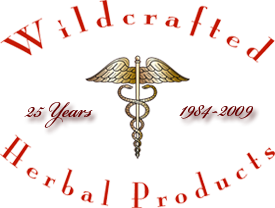 It was used in Tibet for both religious and medical purposes. The French used to burn a mixture of juniper twigs and rosemary leaves in hospital wards and sick rooms, to purify the air. The essential oil of Juniper has a very slight greenish-yellow tinge and a pleasant odour. Like oils of cypress and pine it makes a refreshing bath oil and is both stimulating and relaxing. Juniper berry oil has a tonic and cleansing effect on oily skin assisting in conditions such as fluid retention and where there is infection and/or discharge of the skin. Ginseng Hydrator for Men (Oily Skin Blend). Juniper Berry is said to have a particular influence on the urinary system helping the kidneys to work more efficiently to remove excess fluid from the body. This diuretic function of Juniper Berry has a beneficial effect in rheumatic and gouty conditions and helps cleanse the blood stream of impurities. 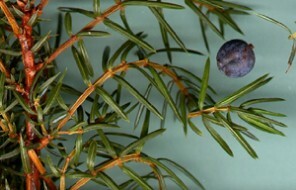 Juniper Berry tea has also been used as digestive tonic. Juniper has many therapeutic effects one of which is its sedative action, which will help those who find sleeping difficult because of worries and tension. Other external uses include: after-effects of paralysis, weeping eczema, acne, sores, wounds, ulcers and dermatitis. Essential oil of Juniper Berry can be used in Massage or Bath oil blends for cases of insomnia due to tension and worry, stress and anxiety, where the person feels cold and fearful and for general debility. The principal known constituents of Juniper include: Juniperine; an essential oil containing borneol and isoborneol, cadinene, pinene, camphene, terpineol, terpenic alcohol - juniper camphor, albumin, sugar (73%). Considering its relatively mild toxicity, juniper is a remarkably effective and versatile remedy, with no contra-indications.